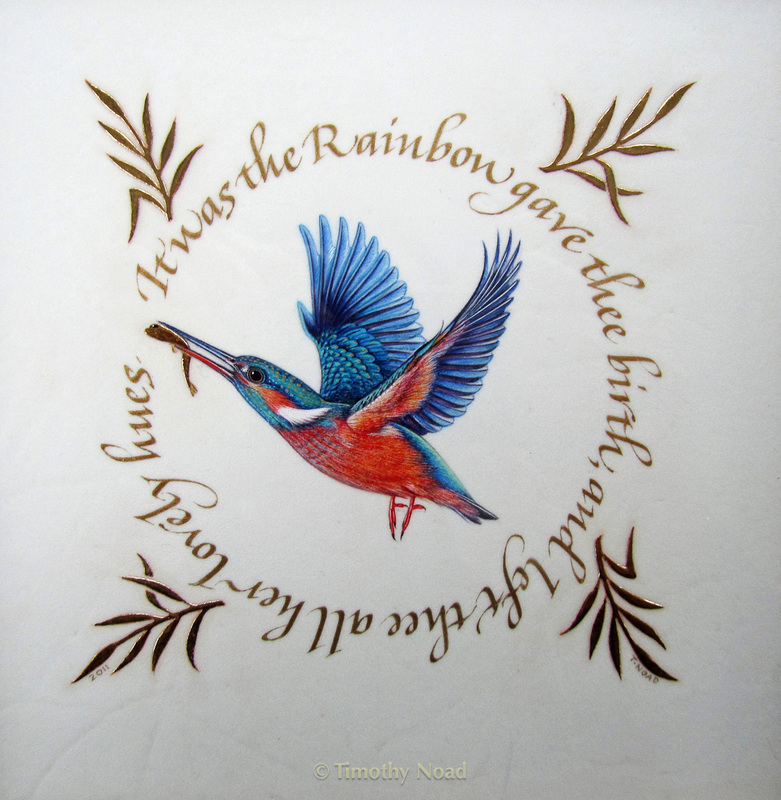 Tim’s award-winning miniature paintings of cats, birds and other animals, usually between about 5 and 12 centimetres in size, combine his interest in natural history with the illumination techniques of fine painting and gilding. 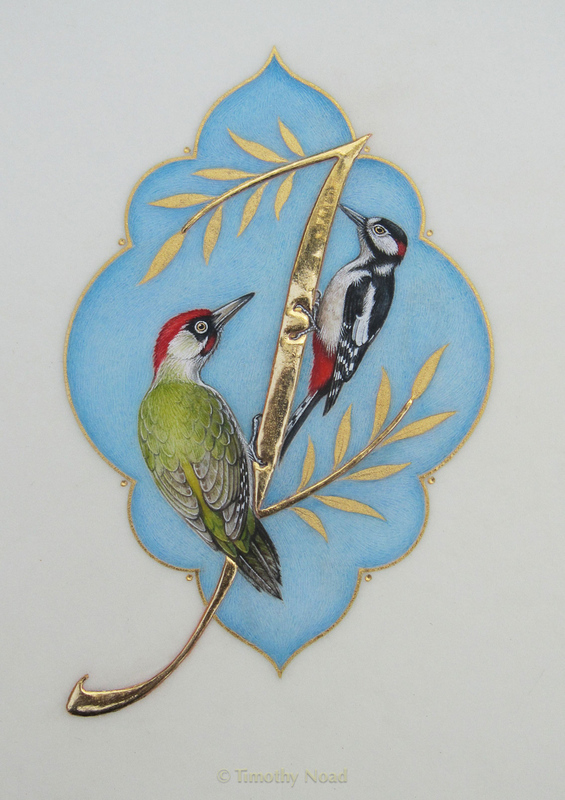 Miniature of a green and a greater-spotted woodpecker with leaves on an initial J, on a Mughal style frame, in watercolours and gold on vellum. 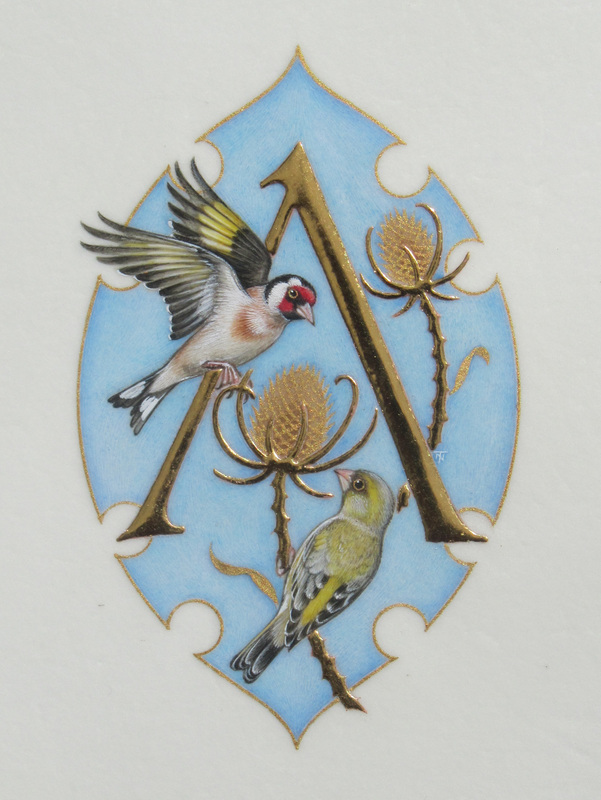 Miniature of a goldfinch and a greenfinch with teasels and a letter A, in watercolours and gold on vellum. 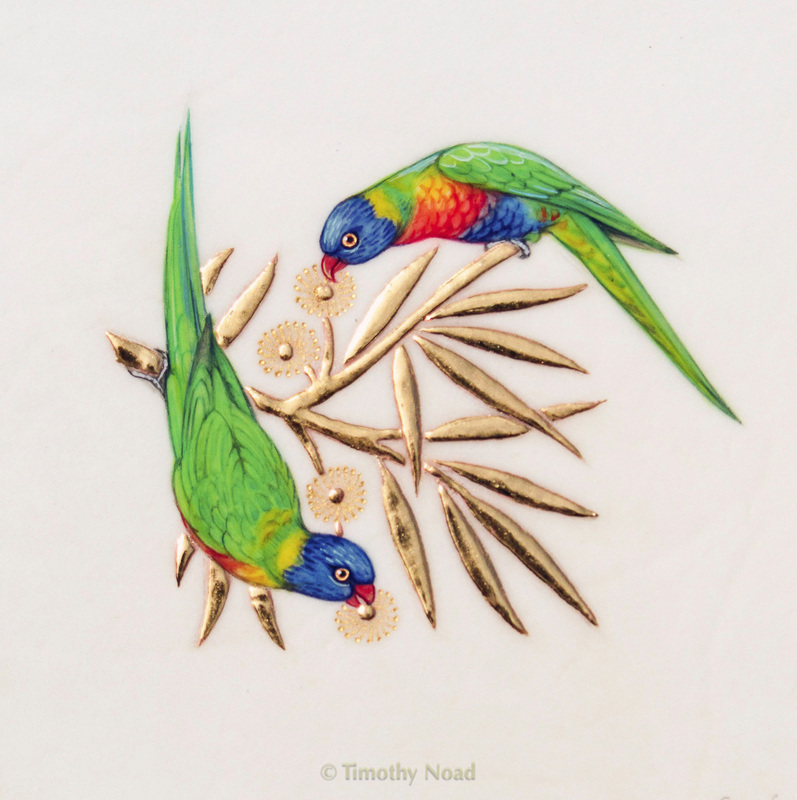 Miniature of rainbow lorikeets and eucalyptus leaves, in gouache and gold on vellum. 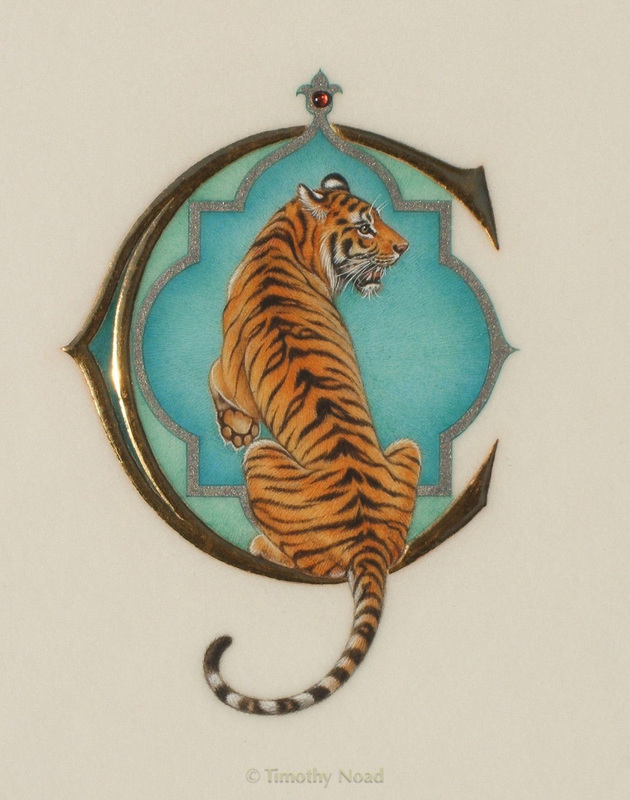 Miniature of a tiger within an illuminated initial C, with Mughal inspiration. By kind permission of Gilly Middleburgh. 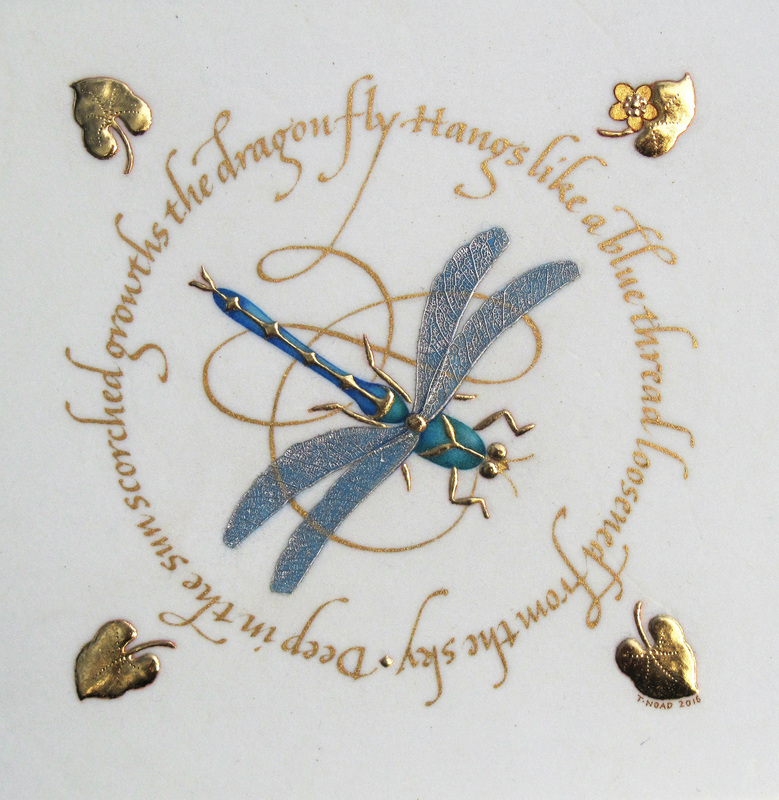 Miniature of a dragonfly with poem by D G Rossetti, in watercolours, gold and palladium on vellum. 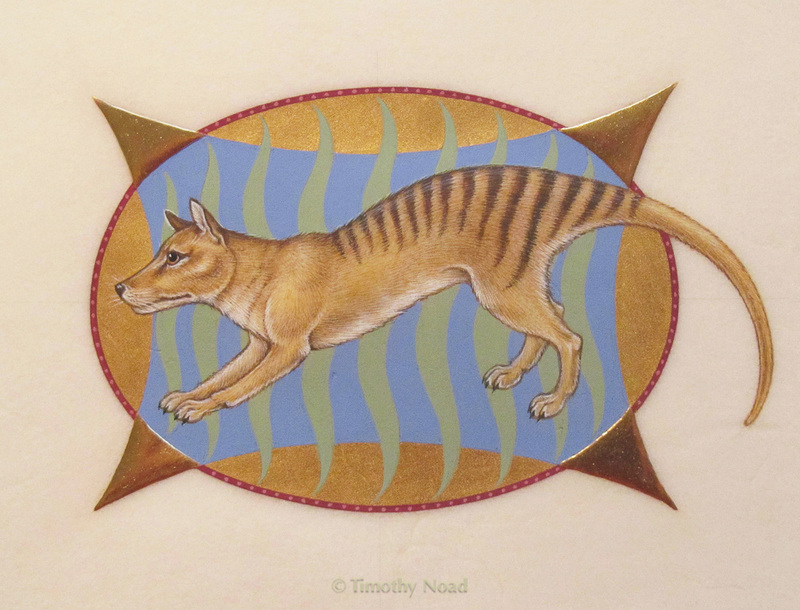 Miniature of a Thylacine, or Tasmanian tiger in gouache and gold on vellum. 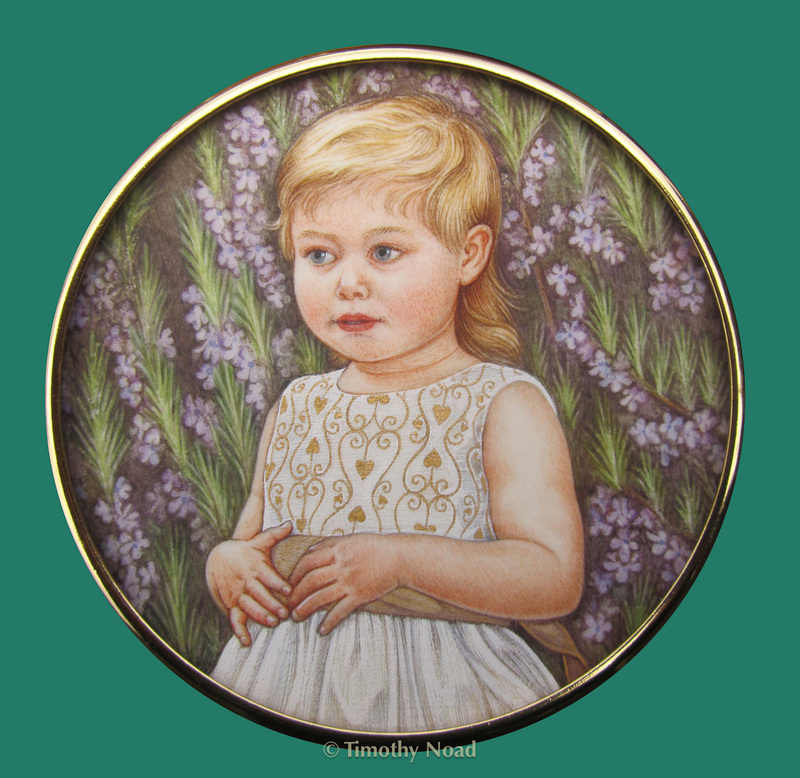 Miniature of Estella as a bridesmaid aged three, in watercolours and gold on vellum. 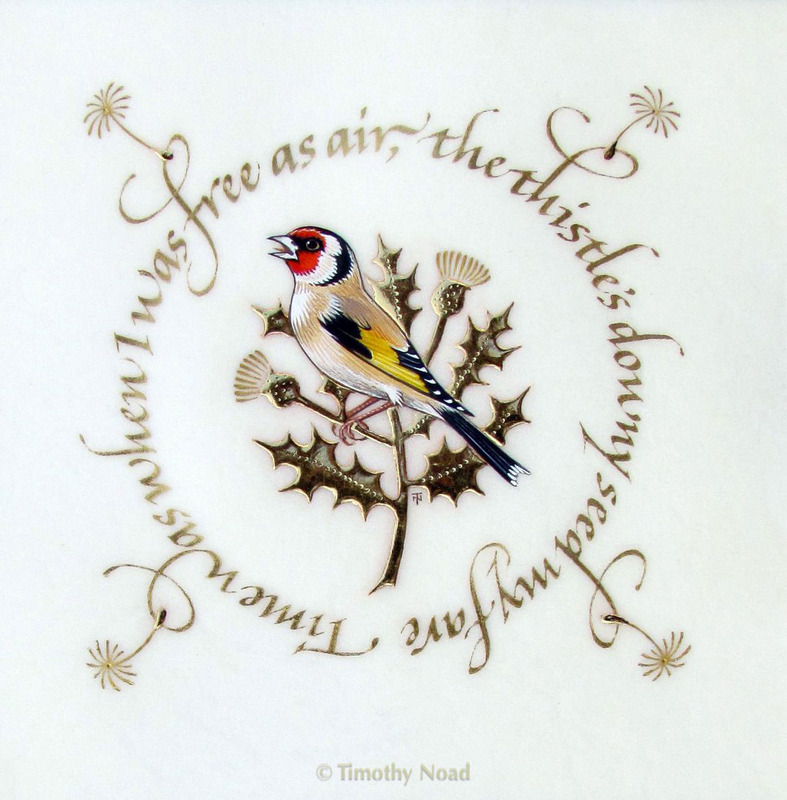 A Goldfinch, words from William Cowper. 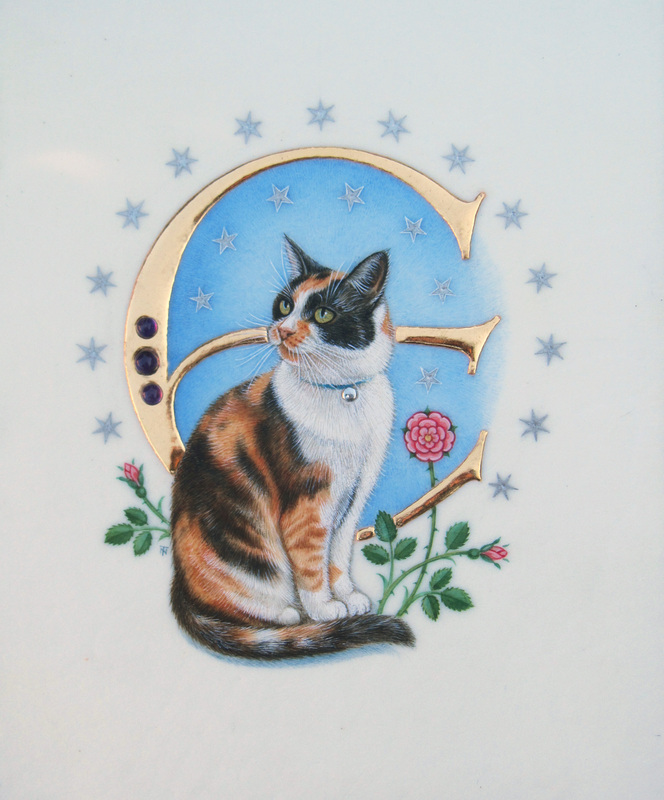 Gouache and gold on vellum. 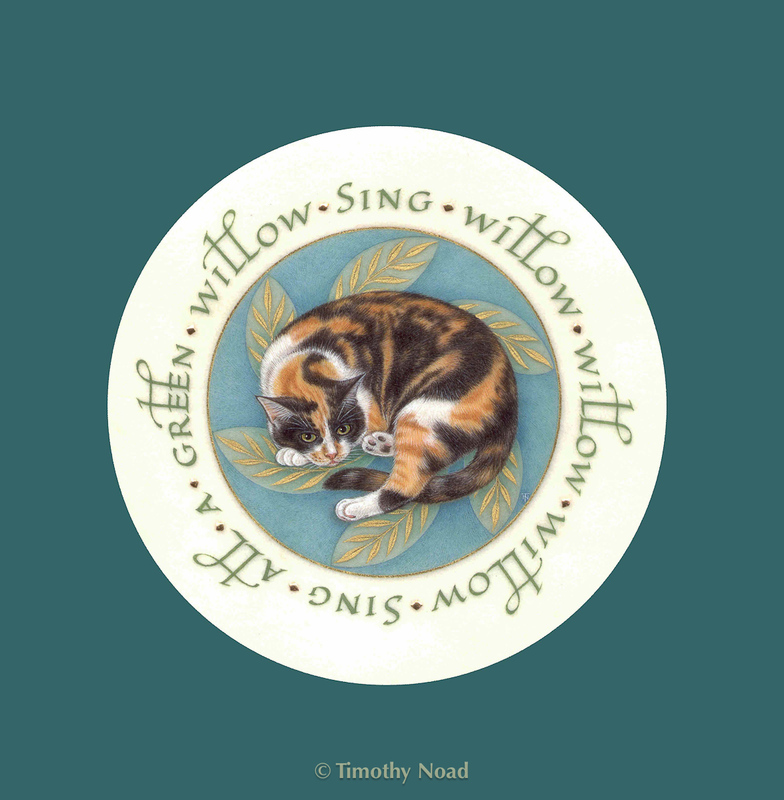 Miniature of a cat, Willow, with words by Shakespeare, in watercolours and gold on vellum. 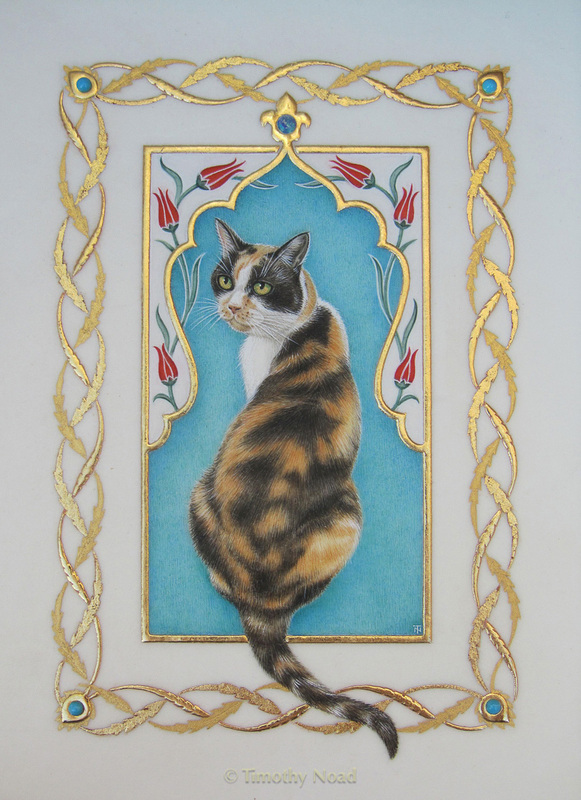 Miniature of a cat, Willow, in Ottoman style, in watercolours and gold on vellum.